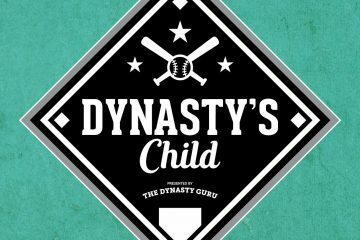 The Dynasty Guru recently released the 2019 Top 500 Fantasy Prospects, representing the culmination of nearly three months of prospect positional rankings (links below). These rankings consider three, separate fantasy tools for both hitters and pitchers. Importantly, a fourth “tool” analyzed is risk, which considers a multitude of factors, including, but not limited to, fielding, level, opportunity, industry reputation, age, and injury history. What would the rankings look like focused solely on upside? With that said, don your rose-colored glasses as we explore the Top 100 upside-only fantasy prospects! “Upside” is a vague and, occasionally, elusive term. As such, conceptualizing upside can be difficult. For the purpose of these rankings, upside does not mean a 99th percentile outcome. In a perfect world, all prospects develop to absolute peak. For example, diminutive Jose Ramirez blasting 39 home runs is a 99th percentile (or even higher) outcome. These outcomes are highly improbable and often impossible to predict. Thus, these rankings assess upside using future value grades, which represent a reasonable approximation of a player’s ceiling. Often, there is a limit on the number of prospects a team can roster in most fantasy formats. For instance, this limit can be a strict roster size cap (i.e., a team can only place 10 players in the minors) or a restriction on the number of keepers (i.e., a team can only keep 5 prospects or 40 total players). Nevertheless, many leagues restrict rostering and retention of prospects. Consequently, higher upside, extremely young prospects can be costly investments. In formats without restriction, or simply with expansive rosters, these high-upside, high-risk prospects are more valuable. Consequently, the risk and required lead-time of such prospects is not a significant detriment. Further, some owners simply choose to gamble on upside, thinking it is better to risk missing on a potential elite talent than hit on a solid performer. In addition, several others vaulted toward the top of the rankings. 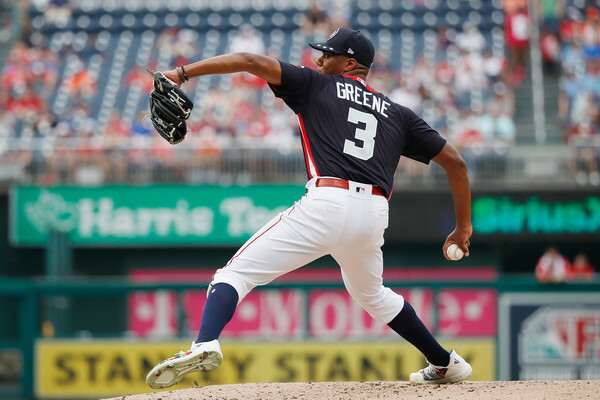 Notably, Hunter Greene soared from outside the top 40 into the top 10, while Nate Pearson, Kristian Robinson, and Jordyn Adams move from outside the top 50 into the top 25. Meanwhile, hitters with more muted tools and pitchers without premium repertoire or big arms fell in the rankings. Additionally, players on the cusp of the majors took a substantial hit. Indeed, several top 50 prospects completely fell out of the upside-only top 100, including Francisco Mejia, Alex Verdugo, Yusei Kikuchi, Luis Urias, and Kyle Wright. Last year, this section included Kristian Robinson, George Valera, Esteury Ruiz, Luis Garcia, and Julio Rodriguez. This year, these exciting prospects should be strong follows, and a hot start (which, for some, will not occur until June) could elevate them up the rankings. Further, you can find more information about the most of the prospects above in the articles below. I am very perplexed by the ranking of Mize. The general consensus seems to be that he does not have “ace” upside, but rather, a FV in the 55-60 range (FanGraphs just said that he is in the lower end of the 55 FV tier). I thought he was more of a high floor, moderate ceiling prospect? What do you see that leads to your conclusion that he has more upside than Reyes and Kopech? Thanks! I am probably higher on Mize than most and believe he has “ace” upside. I saw him pitch several times for Auburn. While his raw stuff does not compare with Kopech or Reyes, Mize still projects to have plus repertoire, with a 55/60-grade mid-90s fastball; a 60/65-grade upper-80s, diving split-finger change-up; and a 55/60-grade mid-80s slider with 11-to-5 slurve movement, which he occasionally throws in the upper-80s for cutter-like movement. In addition, and the big separator between him and Kopech/Reyes, is future plus command and control. If you view his arsenal or command/control as a half grade less, then he would fall down the rankings in the area of Yordan Alvarez and Carter Kieboom. Love the “Notable Next 100”, thanks for going the extra mile for us relatively deep leaguers! I’m pumped to see some of those names like Vientos, Apostel, Javier, Knowles blow up this year. Side note, I live in GSO as well, who are some names I should be on the lookout for now that the Grasshoppers are Pittsburgh affiliate? Thanks! As for GSO, it is a bummer to see the Marlins leave at a time they have several exciting young talents likely to start in Low-A, including Connor Scott, Jordan Holloway (maybe), Osiris Johnson, and Will Banfield, maybe even Victor Victor Mesa for a spell. The top Pirates prospects who may be assigned to the Grasshoppers include Travis Swaggerty, Tahnaj Thomas, Braxton Ashcraft, Steven Jennings, Ji-Hwan Bae, and Conner Uselton. Thomas, Ashcraft, and Jennings are exciting young arms. I expect Jennings to be assigned to Low-A, with Thomas and Ashcraft possibly starting in short season. Bae was found guilty of domestic assault in South Korea in October so he could have similar issues to Kang in obtaining a visa this spring, and may receive a suspension. Uselton was a disaster in the Appalachian League last year, but he turns 21 in May so I except he will start in Low-A. Swaggerty only played 16 games in Low-A in his debut so there is a chance he starts in Greensboro, though I would not expect he will be in Low-A for long. Sounds good. You can reach out to me via Twitter @jaroche6. I have my first child due on March 10th so it may be awhile before I can make it to a game.